Automotive designers spend hundred of hours while developing a new model of a vehicle. We agree that some of them do not turn out to be as great as others but it is an absolute crime (according to us petrolheads) to ruin the looks of a car, especially the luxury ones. Here are 5 mod jobs done to the luxury vehicles that have actually killed the beauty of the vehicle. The last generation of Audi Q7 was not a sharp looking vehicle. Nonetheless, it looked premium and classy in stock form. This owner of the Q7 from Gujarat wanted to make sure that his Q7 looks from the future. 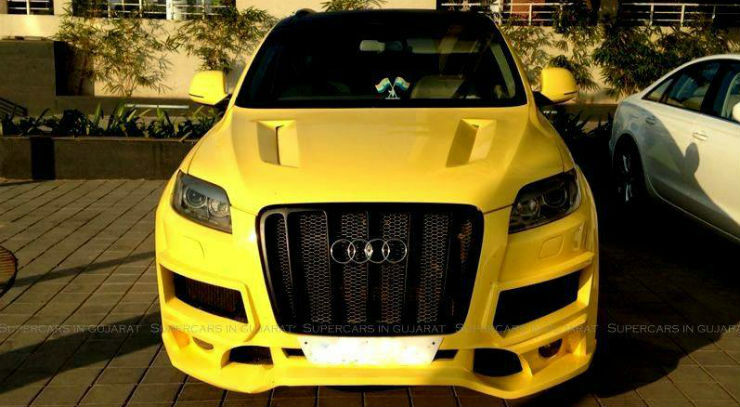 The Q7 was treated with a wacky looking body kit that consists of a new front bumper lip. The car also gets new fake intake hoods on the bonnet and a new black grille with verticle stripes. 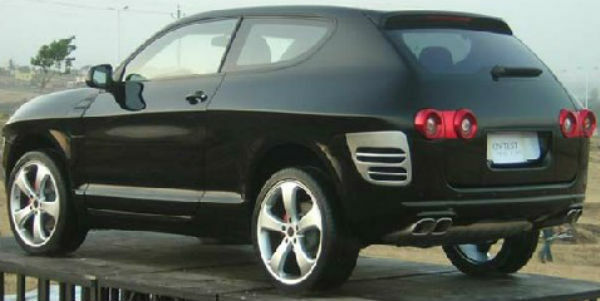 Further, the Q7 gets blacked out roof too. Taking it to the next level is the bright matte yellow body wrap. The luxury SUV from the USA is not even officially available in India. 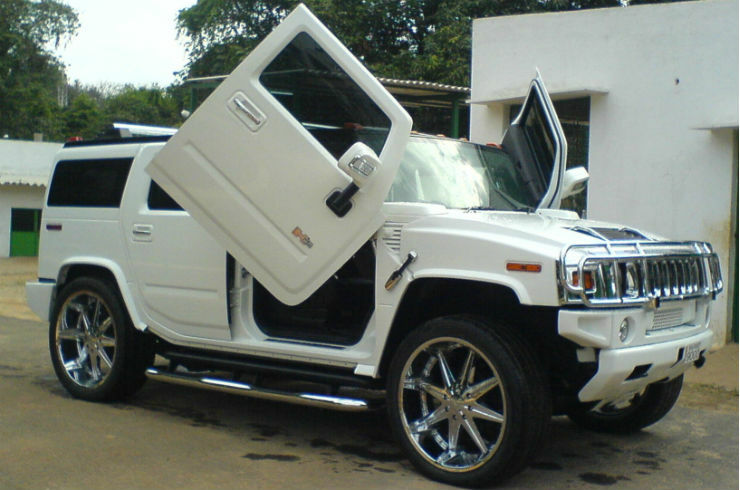 This SUV was imported by paying huge taxes and then was modified to get scissor doors. Such doors do look good on low-riding luxury sedans and sports cars if done tastefully. On the Hummer H2, scissor doors are looking out of the place. SUVs deserve brutal and aggressive looks, not such visual modifications. The S-Class is the flagship saloon from Mercedes-Benz. S-Class is one sophisticated looking vehicle. This owner of the S-Class had different ideas of sophistication. The beautiful looking S-Class now receives orange highlights on the wheels, front grilles, air intakes on the hood, ORVMs, and the window boundaries. The orange lights continue on the front bumper lip and the fog lamp housings. You just can’t unsee such a job on S-Class. India’s own design and customization house, DC Designs has carried out some very good-looking modification jobs but not always. Here is a fine example of DC modification job going horribly wrong. 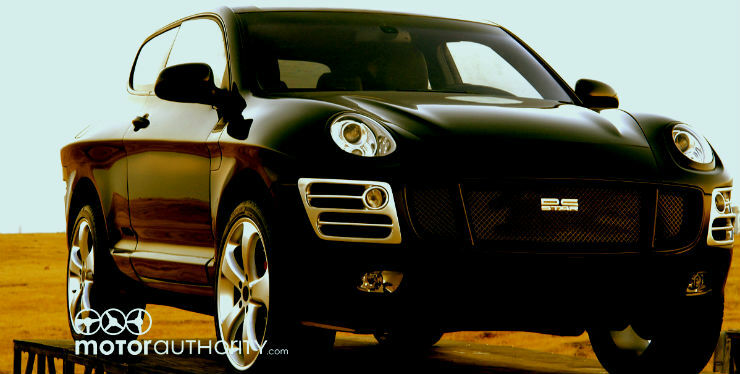 The Porsche Cayenne was put under the knife here and the result was not very eye soothing. The Cayenne gets a new grille with DC logo sitting in between. The front of the car has been further ruined by new silver colored foglamp housings. The lights have been modified to look smaller than the stock version and the wheels have been painted white. The rear of the car gets a new tail-lamp cluster with round shaped lamps and silver colored fake air scoops designed similar to the front fog lamp housing. The last generation of the Honda Accord was a good looking luxury car. The car was designed to show its premium value. Now this Accord went through some transformation that made it lose its charm. 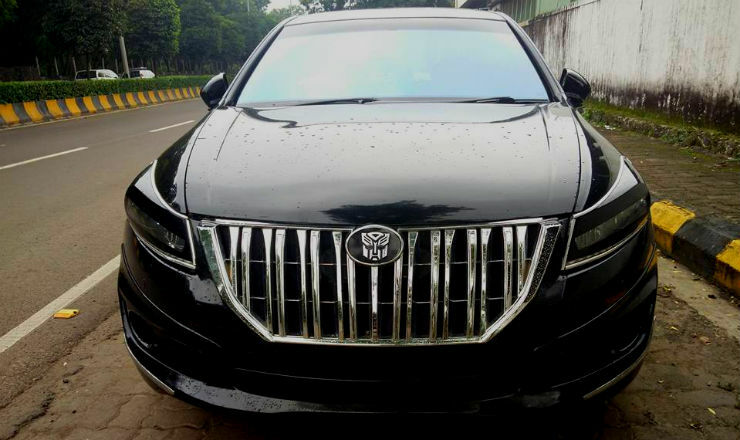 There is a huge Buick Enclave inspired front grille with “Transformer” logo in the front. The headlamps have received black wrap to make them look sleeker than the stock one. This is the definition of ugly and can be used to scare people at night. « 2016 Honda Brio: First Drive report.